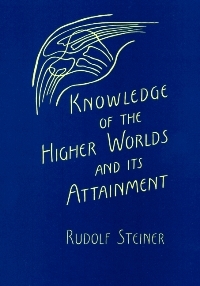 Reflecting on chapters 3 and 4 of "Knowledge of the Higher Worlds", we should be aware that Rudolf Steiner first published this content in a magazine called "Luzifer Gnosis" as individual essays during his time in Berlin at the beginning of the 20th century. Each chapter of "Knowledge of the Higher Worlds" is in a certain way an essay that can be taken as a whole piece in its own right, and the astute observer can notice how each chapter has a certain wholeness to it. Chapter 3: Initiation. (3 trials) Fire trial: Obtaining a truer vision of the things, plants, animals, human beings. The veil is lifted. Spiritual seeing/hearing. Water trial: Decipher the occurrences and the being of the spiritual world like the characters of a writing. Act out of reading the occult script. Qualities needed: Self-control, sound judgment. Read life. Air trial: Presence of mind. Quick decision without hesitation. Act out of inspiration. – Temple of higher wisdom entered, every experience is now judged by what is inherent in it, not by the past. Spiritual knowledge now permeates the initiate. Chapter 4: Practical Considerations. Patience ("I must do everything I can for the education of my soul and spirit; but I will wait calmly until the higher powers consider me worthy of illumination.") Inner truthfulness. Right knowledge ("Do not aspire to something until you know what is right in a given domain.") In addition to anger and irritation, we must also struggle against other traits, such as fearfulness, superstition, prejudice, vanity, ambition, curiosity, the urge to gossip, and the tendency to discriminate on the basis of such outer characteristics as social status, gender, race, and so on. Tact and delicacy. ("It does not matter if what I think differs from what the other person thinks. What matters is that, as a result of what I can contribute to the conversation, the other discovers what is right out of themselves.") Living in nature; nourish our soul with lofty teachings. Another possible interpretation of the 3 trials leads to a realization that we can gradually become aware of these new faculties. We might even develop these faculties to some extent and not notice it! We become aware in the process of going through the fire trial, that we have frequent or only occasional visions, or brief moments of recognition of a reality beyond the physical sense impressions. In a certain sense, we practice this ability every time we engage in artistic work, where we - consciously or unconsciously - add an imaginative reality to the sense perceptible reality. The water trial and the faculties developed here can also gradually be recognized, whenever we are able to read in a new way, when we are able, for instance, to look at our own biography or another person's life and events, and start to see the underlying "script", or become aware of intentions and currents expressed in the outer events and facts. The presence of mind developed through the air trial, is similarly often accomplished before a person realizes this. For instance, in a meeting with another human being, one receives something of a message, that has to do with a possible future task, that the two individuals have as a possibility in their life's path. Sometimes such a moment passes and we do not act on it, only to remember afterwards this potential or other reality. In such a case we might have missed an opportunity due to the lack of presence of mind, but it might serve as an incentive to be more present next time. Tasks and Assignments for Lesson FS 1.7. We should become conscious of the fact that we do live in a time where we are led to experiences that are threshold experiences – therefore this idea that Anthroposophy provides a modern path of initiation. For lesson 1.7. please study chapter 5 of "Knowledge of the Higher Worlds" by Rudolf Steiner, then work on the following questions and tasks. 1. In this chapter a variety of requirements or conditions pertaining to the inner path of development are described. Identify the 7 requirements and describe them in your own words. 2. Choose one of the requirements and practice it. Write down your observations. The conditions attached to esoteric training are not arbitrary. They are the natural outcome of esoteric knowledge. Just as no one can become a painter who refuses to handle a paint-brush, so, too, no one can receive esoteric training who is unwilling to meet the demands considered necessary by the teacher. In the main, the latter can give nothing but advice, and everything he says should be accepted in this sense. He has already passed through the preparatory stages leading to a knowledge of the higher worlds, and knows from experience what is necessary. It depends entirely upon the free-will of each individual human being whether or not he choose to tread the same path. To insist on being admitted to esoteric training without fulfilling the conditions would be equivalent to saying: “Teach me how to paint, but do not ask me to handle a paint-brush.” The teacher can never offer anything unless the recipient comes forward to meet him of his own free-will. But it must be emphasized that a general desire for higher knowledge is not sufficient. This desire will, of course, be felt by many, but nothing can be achieved by it alone so long as the special conditions attached to esoteric training are not accepted. This point should be considered by those who complain that the training is difficult. Failure or unwillingness to fulfill these strict conditions must entail the abandonment of esoteric training, for the time being. It is true, the conditions are strict, yet they are not harsh, since their fulfillment not only should be, but indeed must be a voluntary action. 1. The first condition is that the student should pay heed to the advancement of bodily and spiritual health. Of course, health does not depend, in the first instance, upon the individual; but the effort to improve in this respect lies within the scope of all. Sound knowledge can alone proceed from sound human beings. The unhealthy are not rejected, but it is demanded of the student that he should have the will to lead a healthy life. In this respect he must attain the greatest possible independence. The good counsels of others, freely bestowed though generally unsought, are as a rule superfluous. Each must endeavor to take care of himself. From the physical aspect it will be more a question of warding off harmful influences than of anything else. In fulfilling our duties we must often do things that are detrimental to our health. We must decide at the right moment to place duty higher than the care of our health. But just think how much can be avoided with a little good will. Duty must in many cases stand higher than health, often, even, than life itself; but pleasure must never stand higher, as far as the student is concerned. For him pleasure can only be a means to health and to life, and in this connection we must, above all, be honest and truthful with ourselves. There is no use in leading an ascetic life when the underlying motive is the same in this case as in other enjoyments. Some may derive satisfaction from asceticism just as others can from wine-bibbing, but they must not imagine that this sort of asceticism will assist them in attaining higher knowledge. Many ascribe to their circumstances everything which apparently prevents them from making progress. They say they cannot develop themselves under their conditions of life. Now, many may find it desirable for other reasons to change their conditions of life, but no one need do so for the purpose of esoteric training. For the latter, a person need only do as much as possible, whatever his position, to further the health of body and soul. Every kind of work can serve the whole of humanity; and it is a surer sign of greatness of soul to perceive clearly how necessary for this whole is a petty, perhaps even an offensive employment than to think: “This work is not good enough for me; I am destined for something better.” Of special importance for the student is the striving for complete health of mind. An unhealthy life of thought and feeling will not fail to obstruct the path to higher knowledge. 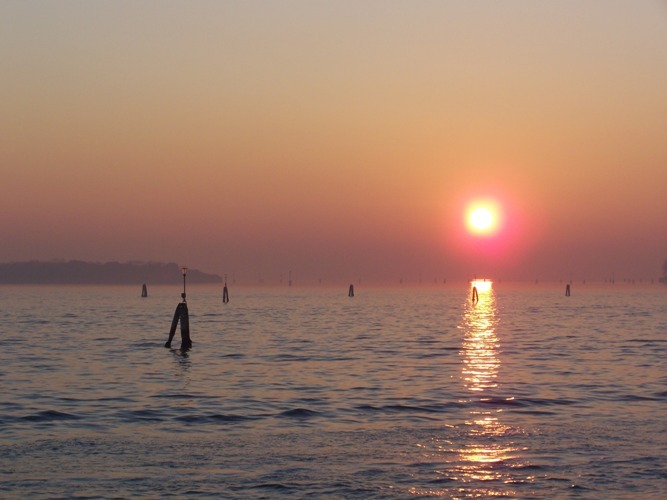 Clear, calm thinking, with stability of feeling and emotion, form here the basis of all work. Nothing should be further removed from the student than an inclination toward a fantastical, excitable life, toward nervousness, exaggeration, and fanaticism. He should acquire a healthy outlook on all circumstances of life; he should meet the demands of lie with steady assurance, quietly letting all things make their impression on him and reveal their message. He should be at pains to do justice to life on every occasion. All one-sided and extravagant tendencies in his sentiments and criticisms should be avoided. Failing this, he would find his way merely into worlds of his own imagination, instead of higher worlds; in place of truth, his own pet opinions would assert themselves. It is better for the student to be matter-of-fact, than excitable and fantastic. 2. The second condition is that the student should feel himself co-ordinated as a link in the whole of life. Much is included in the fulfillment of this condition, but each can only fulfill it in his own manner. If I am a teacher, and my pupil does not fulfill my expectations, I must not divert my resentment against him but against myself. I must feel myself as one with my pupil, to the extent of asking myself: “Is my pupil's deficiency not the result of my own action?” Instead of directing my feelings against him I shall rather reflect on my own attitude, so that the pupil may in the future be better able to satisfy my demands. Proceeding from such an attitude, a change will come over the student's whole way of thinking. This holds good in all things, great or small. Such an attitude of mind, for instance, alters the way I regard a criminal. I suspend my judgment and say to myself: “I am, like him, only a human being. Through favorable circumstances I received an education which perhaps alone saved me from a similar fate.” I may then also come to the conclusion that this human brother of mine would have become a different man had my teachers taken the same pains with him they took with me. I shall reflect on the fact that something was given to me which was withheld from him, that I enjoy my fortune precisely because it was denied him. And then I shall naturally come to think of myself as a link in the whole of humanity and a sharer in the responsibility for everything that occurs. This does not imply that such a thought should be immediately translated into external acts of agitation. It should be cherished in stillness within the soul. Then quite gradually it will set its mark on the outward demeanor of the student. In such matters each can only begin by reforming himself. It is of no avail, in the sense of the foregoing thoughts, to make general demands on the whole of humanity. It is easy to decide what men ought to be; but the student works in the depths, not on the surface. If would therefore be quite wrong to relate the demand here indicated with an external, least of all political, demands; with such matters this training can have nothing to do. Political agitators know, as a rule, what to demand of other people; but they say little of demands on themselves. 3. This brings us to the third condition. The student must work his way upward to the realization that his thoughts and feelings are as important for the world as his actions. It must be realized that it is equally injurious to hate a fellow-being as to strike him. The realization will then follow that by perfecting ourselves we accomplish something not only for ourselves, but for the whole world. The world derives equal benefit from our untainted feelings and thoughts as from our good demeanor, and as long as we cannot believe in this cosmic importance of our inner life, we are unfit for the path that is here described. We are only filled with the right faith in the significance of our inner self, of our soul, when we work at it s though it were at least as real as all external things. We must admit that our every feeling produces an effect, just as does every action of our hand. 4. These words already express the fourth condition: to acquire the conviction that the real being of man does not lie in his exterior but in his interior. Anyone regarding himself as a product of the outer world, as a result of the physical world, cannot succeed in this esoteric training, for the feeling that we are beings of soul and spirit forms its very basis. The acquisition of this feeling renders the student fit to distinguish between inner duty and outward success. He learns that the one cannot be directly measured by the other. He must find the proper mean between what is indicated by external conditions and what he recognizes as the right conduct for himself. He should not force upon his environment anything for which it can have no understanding, but also he must be quite free from the desire to do only what can be appreciated by those around him. The voice of his own soul struggling honestly toward knowledge must bring him the one and only recognition of the truths for which he stands. But he must learn as much as he possibly can from his environment so as to discover what those around him need, and what is good for them. In this way he will develop within himself what is known in spiritual science as the “spiritual balance.” An open heart for the needs of the outer world lies on one of the scales, and inner fortitude and unfaltering endurance on the other. 5. This brings us to the fifth condition: steadfastness in carrying out a resolution. Nothing should induce the student to deviate from a resolution he may have taken, save only the perception that he was in error. Every resolution is a force, and if this force does not produce an immediate effect at the point to which it was applied, it works nevertheless on in its own way. Success is only decisive when an action arises from desire. But all actions arising from desire are worthless in relation to the higher worlds. There, love for an action is alone the decisive factor. In this love, every impulse that impels the student to action should fulfill itself. Undismayed by failure, he will never grow weary of endeavoring repeatedly to translate some resolution into action. And in this way he reaches the stage of not waiting to see the outward effect of his actions, but of contenting himself with performing them. He will learn to sacrifice his actions, even his whole being, to the world, however the world may receive his sacrifice. Readiness for a sacrifice, for an offering such as this, must be shown by all who would pursue the path of esoteric training. 6. A sixth condition is the development of a feeling of thankfulness for everything with which man is favored. We must realize that our existence is a gift from the entire universe. How much is needed to enable each one of us to receive and maintain his existence! How much to we not owe to nature and to our fellow human beings! Thoughts such as these must come naturally to all who seek esoteric training, for if the latter do not feel inclined to entertain them, they will be incapable of developing within themselves that all-embracing love which is necessary for the attainment of higher knowledge. Nothing can reveal itself to us which we do not love. And every revelation must fill us with thankfulness, for we ourselves are the richer for it. 7. All these conditions must be united in a seventh: to regard life unceasingly in the manner demanded by these conditions. The student thus makes it possible to give his life the stamp of uniformity. All his modes of expression will, in this way, be brought into harmony, and no longer contradict each other. And thus he will prepare himself for the inner tranquility he must attain during the preliminary steps of his training. The above conditions are calculated to render the student strong enough to fulfill the further demands made on him during this training. If he fail in these conditions he will hesitate before each new demand, and without them he will lack that faith in man which he must possess. For all striving for truth must be founded on faith in and true love for man. But though this is the foundation it is not the source of all striving for truth, for such striving can only flow from the soul's own fountain-head of strength. And the love of man must gradually widen to a love for all living creatures, yes, for all existence. Through failure to fulfill the condition here given, the student will lack the perfect love for everything that fashions and creates, and the inclination to refrain from all destruction as such. He must so train himself that not only in his actions but also in his words, feelings, and thoughts he will never destroy anything for the sake of destruction. His joy must be in growth and life, and he must only lend his hand to destruction, when he is also able, through and by means of destruction, to promote new life. This does not mean that the student must simply look on while evil runs riot, but rather that he must seek even in evil that side through which he may transform it into good. He will then see more and more clearly that evil and imperfection may best be combated by the creation of the good and the perfect. The student knows that out of nothing, nothing can be created, but also that the imperfect can be transformed into the perfect. Anyone developing within himself the disposition to create, will soon find himself capable of facing evil in the right way. We are not reduced to service subjection in listening to some information with quiet devotion and because we do not at once oppose it with our own opinion. Anyone having advanced some way in the attainment of higher knowledge knows that he owes everything to quiet attention and active reflection, and not to willful personal judgment. We should always bear in mind that we do not need to learn what we are already able to judge. Therefore if our sole intention is to judge, we can learn nothing more. Esoteric training, however, center in learning; we must have absolutely the good will to be learners. If we cannot understand something, it is far better not to judge than to judge adversely. We can wait until later for a true understanding. The higher we climb the ladder of knowledge, the more do we require the faculty of listening with quiet devotion. All perception of truth, all life and activity in the world of the spirit, become subtle and delicate in comparison with the processes of the ordinary intellect and of life in the physical world. The more the sphere of our activity widens out before us, the more delicate are the processes in which we are engaged. It is for this reason that men arrive at such different opinions and points of view regarding the higher regions. But there is one and only one opinion regarding higher truths and this one opinion is within reach of all who, through work and devotion, have so risen that they can really behold truth and contemplate it. Opinions differing from the one true opinion can only be arrived at when people, insufficiently prepared, judge in accordance with their pet theories, their habitual ways of thought, and so forth. Just as there is only one correct opinion concerning a mathematical problem, so also is this true with regard to the higher worlds. But before such an opinion can be reached, due preparation must first be undergone. If this were only considered, the conditions attached to esoteric training would be surprising to none. It is indeed true that truth and the higher life abide in every soul, and that each can and must find them for himself But they lie deeply buried, and can only be brought up from their deep shafts after all obstacles have been cleared away. Only the experienced can advise how this may be done. Such advice is found in spiritual science. No truth is forced on anyone; no dogma is proclaimed; a way only is pointed out. It is true that everyone could find this way unaided, but only perhaps after many incarnations. By esoteric training this way is shortened. We thus reach more quickly a point from which we can cooperate in those worlds where the salvation and evolution of man are furthered by spiritual work.